What are the rates on your merchant accounts? Home» FAQ » What are the rates on your merchant accounts? At Virtual Merchant Pro we do not have any set merchant account rates. Why? Because we want to make sure your business gets the absolute best rate possible for your business. Instead of creating blanket rates for all of our customers, we find out about your business and create a personalized, customized account for you that allows you to capture all of the best rates we offer. Additionally, we will match or beat competitor’s rates. If we can’t, we will give you $100. 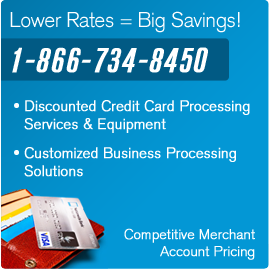 By creating tailored solutions for businesses and their merchant accounts, we can ensure that the lowest rates. We only provide you with what you need. Find out more by talking to a customer service agent now: 1-866-734-8450.